The history of weight class changes is pretty profound. 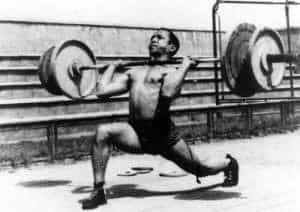 I have never personally had to struggle through a weight class change as a coach or an athlete but there are many coaches out there who have been through multiple weight class changes. More often than not, the reason weight classes change is to reset the records from a previously dirty sport. That is absolutely the case this time and if I have heard correctly that was the case also back in 1998. For those of you who are interested below are the list of different weight classes and what years they were changed. It’s interesting to see the dynamic and some of the trends that previous committees have landed on. It’s ’s important to look at these classes to provide context for our current ones. Also, if you want a really good history as well as insight into the current classes you should check out Greg Everett podcast with Ursula Papandera. That link is here. The second question and answer is a pretty good overview of where we’ve come from and how we landed where we did today. Check that out if you’re interested. 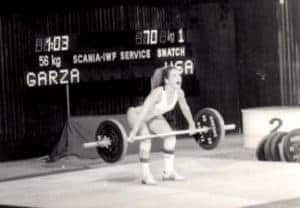 Ursula Papandrea (in summary) said she felt like the middle classes, which consequently hold the highest quality lifting and also the largest portion of the sport, did not get the credit they were due. She was hoping for a little less spread through the lower and upper 50s for the women as well as the mid-70s up into the 80s for the men. 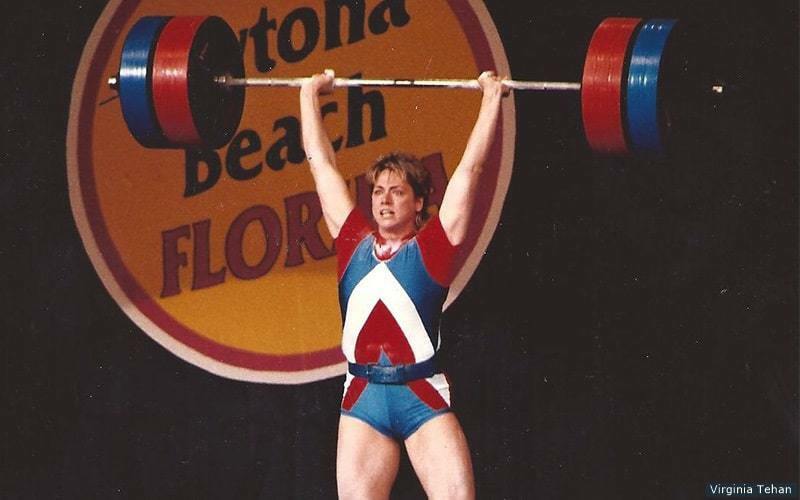 Her opinion, which I tend to agree, is that in those classes there is the most impressive lifting and often times the highest percentage lifting per bodyweight. She would’ve loved to seen a little less of a spread between classes like the 73 and the 81 and believes there should be one more class between 49 and 64. Like me, she struggles with the idea of a 45 class though historically something around that range has always existed. Bobby Sirkis said: “I don’t think much changed on the female side, I feel it just made it easier to make weight for most people. Obviously the 90kg class being cut to 87 is a bummer for them. On the guys side I actually really like the new categories. I think this is a good mix and a good change pretty far away from the original categories. They are far enough away that it forces people to move up. Unlike the females, where it is close to the same. I also think the starting categories in both male and female are too low. Now the Olympic categories is a much different story. It very much favors some of the lighter categories with the smaller gaps. Since we can only send a max of 1 in each category, making up a smaller body weight difference of 5-6 in the lighter categories is much easier to do than a body weight difference of 10+ in the high body weight categories. “I can’t remember which one I thought didn’t make a ton of sense but mostly because it’s not important (at least I don’t think so). It is what it is, as it has been each time the classes change. Honestly, I don’t see the value in doing much with how they settled out to be except lift more weight. 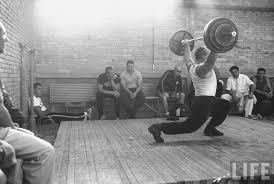 Goal is the same – lift more weight. There will always be classes that seem to have an advantage. Doesn’t matter. Lift more weight. All in all, I like the additional categories. It creates more opportunities for people to make an international team. And more opportunity is always the best thing. In my own personal opinion I think all the coaches above are correct. 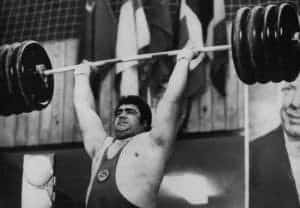 It does seem like some of those middle classes got the short end of the stick in an effort to appease some of the lighter body weights in Asian countries as well as the heavier bodyweights around the Middle East and Central Asia. It’s a tough road for a 69 kg girl to have to make the jump 76 and an even tougher road I think for a heavy 85 to be competitive as a 96. We all have athletes who come to mind in those areas and if you pay attention to some of our best performers they seem to live right around that space. As a spectator, this is going to be a really fun couple of years as we see the best in our sport compete in the same classes. As a coach, it’s a tough conundrum for me. 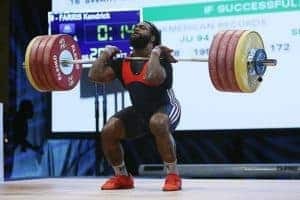 While I love the competition and I love what the increased competition will due to performance, I struggle watching really talented athletes have to both fight to get in a weight class they aren’t fit for right now as well as fight with athletes who are already established around that bodyweight. A lot of the best talent in the sport in this country likely will get left out of the Olympics as they just don’t have enough time to transition to a new class. Now, watching them try and what that will do to motivate their training and their nutrition will be awesome to watch. Ultimately, spectators, coaches, and athletes at some point need to step out of the assessment phase of the new classes and step into the performance space. Cara is dead on. Time to lift heavier weights. The end.